These 2 unusual pre-meal tricks could even help diabetics control blood sugar, but can also help non-diabetics to balance hormones via blood sugar balancing - and burn stubborn fat. You may have heard different websites or anecdotes in the past about these 3 substances and their possible effects on reducing the blood sugar response of a meal (taken either before or during a meal), which can, essentially help to keep insulin levels lower post-meal and keep the body from depositing extra body fat. Maintaining lower and more stable blood sugar levels also helps to prevent cravings and slow the aging process by reducing formation of advanced glycation end products (AGEs) in your body . Well, that's what Tim decided to test out on himself as one of his experiments that he did in "The 4-Hour Body" . Tim actually used a blood sugar meter (normally for diabetics) that attached probes into his abdomen to get constant measurements and graphs of his blood sugar and response to different foods and meals. In his tests, he tested ingesting all 3 of these "substances" before meals in separate tests. Tim includes some theories in his book on why the vinegar didn't have any effect. 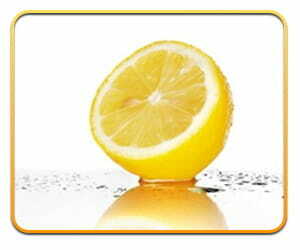 In Tim's personal tests, he used 3 Tbsp of fresh-squeezed lemon juice (not store-bought stuff with preservatives and artificial additives) prior to his meals and this lowered his blood sugar response to meals (compared to his controls) by approximately 10%. Remember that lowering the blood sugar response to a meal can help to control insulin levels and therefore keep your body in fat-burning mode for longer...and prevent cravings too! If you've read my articles in the past, it's no secret that cinnamon can be powerful in terms of helping to blunt blood sugar response to a meal. In fact, I regularly take 2 cinnamon capsules (approx 1 gram) if I know I'm going to eat a meal that contains moderate or high levels of carbohydrates. Some studies show that cinnamon can reduce the glycemic response of a meal up to 29%! But there are different types of cinnamon...so which is best? 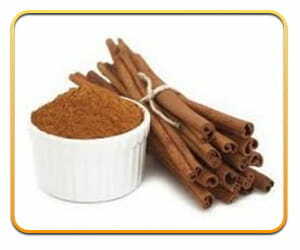 Saigon cinnamon (aka Vietnamese cinnamon) was found in Tim's tests to be the most effective at controlling blood sugar . Ceylon cinnamon came in 3rd place in Tim's tests in effectiveness in controlling blood sugar response to a meal. Keep in mind that if you take medications, you need to consult with your doctor to make sure that cinnamon use does not interfere with the medications (especially with blood thinners). He also warns that 4 grams per day (about 1.5 teaspoons) is probably the max amount of cinnamon that anyone should take. And remember that yet another benefit of maintaining lower blood sugar levels is that you help to SLOW the aging process , since high blood sugar levels over time increase glycation in your body, which ages you faster. You just discovered a pretty cool nutrition trick, that’s also really easy, that can help control your blood sugar, which can help with weight loss, mood swings, energy swings, appetite control, etc. Controlling your blood sugar not only helps with fat loss, but is very important for anyone who cares about their health. If you want to control your mood and energy, boost fat loss, limit fat gain, or just be the healthiest person possible then you absolutely MUST control your blood sugar. Which is why on the next page I want to share with you an amazing free report called, "The 4 BEST Foods to Eat Before Bed ." If you're like most folks interested in fat loss, then you've probably been told countless times to NOT eat before bed because it can cause weight gain, but what you're about to discover in this free report flips that on its head and not only shares WHY you should be eating before bed if you want to burn more fat, but the BEST foods to eat on a regular basis that help BOOST your fat-burning engine.